Christmas Wooden Rolling Pins That's Embossed! So cute! ONLY $2.90 ! Christmas Wooden Rolling Pins That’s Embossed! So cute! ONLY $2.90 ! 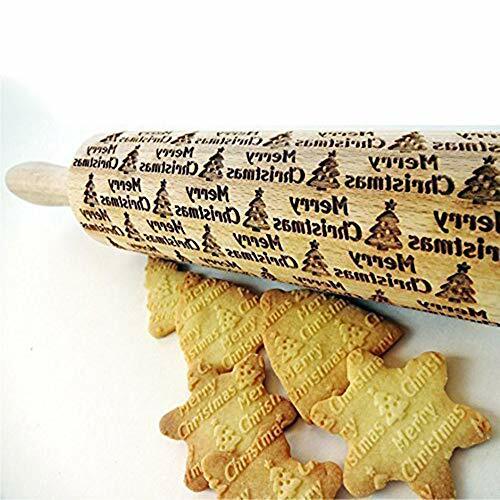 ✿✿✿ This rolling pin is one of the essential tools for any kitchen. Easy to clean by hand or dishwashers top rack. ✿✿✿ Smooth and flat silicone surface, stain and odor resistant, dough does not stick like plastic or wooden rolling pins. you just need to wash it under the tap water and dry them in the air, then fold the mat and they don't take much space in your kitchen drawer. ✿✿✿ Rolling pin feature comfortable, easy grip handles for added comfort and control. Perfect tool for French Fondant, Baking, Pastry, and Dough.